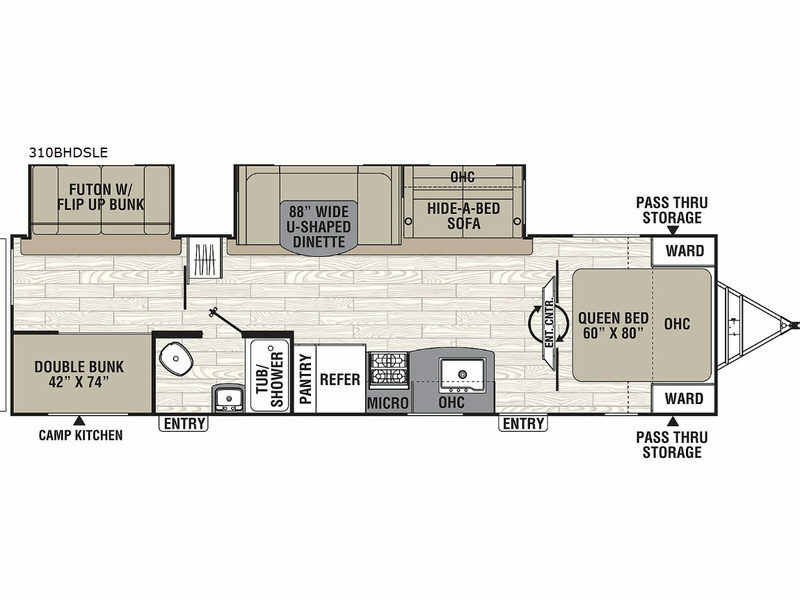 Imagine having a travel trailer that accommodates your family and your kids' friends. 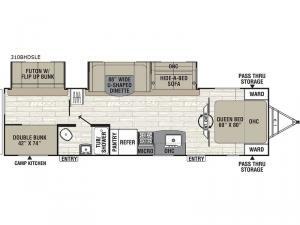 This model offers a private bunkhouse with a futon, two bunks, and plenty of storage, furniture that converts into extra sleeping space, and this travel trailer includes convenient dual entry for a smooth flow of traffic. After hiking, fishing, or biking outdoors, you can return to your own living and kitchen area to visit about the adventures of the day and make dinner. The outside chef in the family might decide to use the camp kitchen and outdoor grill station instead. Take a look!